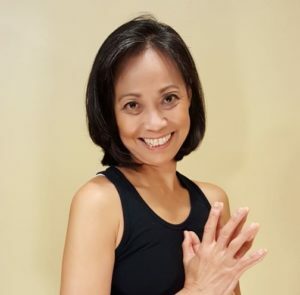 Easy going fitness enthusiast, unabashed spiritual seeker, inquisitive yogini, compassionate teacher, lover of movement and quiet, I was first drawn to yoga as a complement to running back in 2006. My experiences of injury and pain have made me realize that wholeness is innate, healing is possible, and well being comes from re discovering that wholeness. As a yoga teacher and yoga therapist, I guide my students and clients in that direction through mindful movement, breathing and relaxation practices. I am registered with Yoga Alliance as an E200Hr teacher, have logged hundreds of hours of additional studies including a 500-hour program, meditation, and yoga therapy. When I am not teaching or learning new things, I enjoy reading, reading, reading some more (did I mention reading?) I savor time with my husband and three grown children, I love walking and a good laugh.